Scenes like this one — from the 20th Rays of Hope Walk five years ago — are played out each October in Forest Park. Lucy Giuggio Carvalho is a tough person to say no to, as Kathy Tobin found out one afternoon 25 years ago. 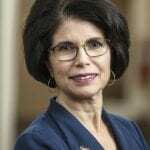 Carvalho — then a nurse at Baystate — had been diagnosed with breast cancer some time earlier, and, inspired by an AIDS fund-raising walk she had recently participated in, had a vision to bring something like that to Western Mass. to raise money and awareness around the cause of breast-cancer research and treatment. 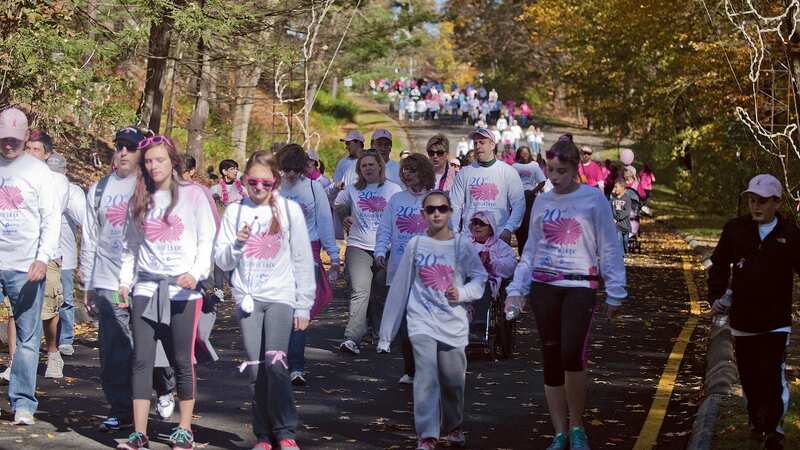 A quarter-century later, it’s safe to say that Carvalho’s creation — known as the Rays of Hope Walk & Run Toward the Cure of Breast Cancer — has done just that, and a whole lot more. As it turned out, Tobin did help her; WGGB became the media sponsor of the first Rays of Hope walk in 1994, and Tobin spearheaded a half-hour documentary special to bring attention to the cause. “She had this overwhelming desire, not just to do this walk, but to change the way we treat breast cancer,” said Tobin, who has come full circle since then, now serving as director of Annual Giving and Events for Baystate Health, which has long overseen the Rays of Hope organization. The first Rays of Hope event attracted some 500 walkers and raised $50,000. Today, it has raised more than $14.2 million and attracts about 24,000 walkers and runners each October. This year’s annual fundraiser, slated for Oct. 21, will once again step off from Temple Beth El on Dickinson Street in Springfield and wind through and around Forest Park. As usual, all money raised remains local, administered by the Baystate Health Foundation to assist patients and their families affected by breast cancer. 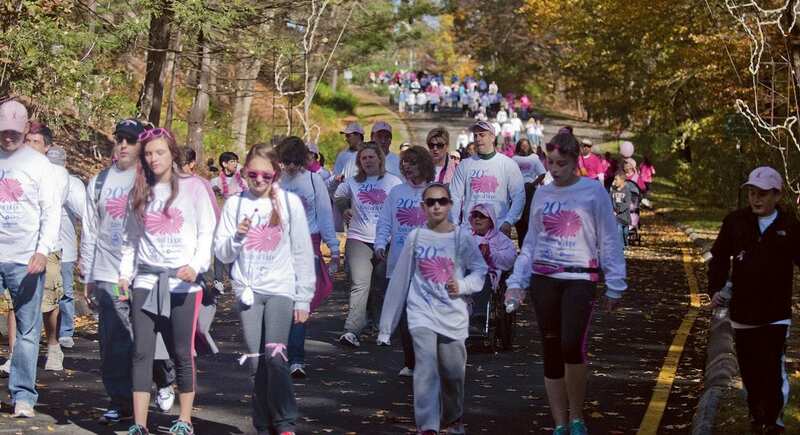 Funds support research, treatment, breast-health programs, outreach and education, and the purchase of state-of-the art equipment, as well as providing grants to various community programs throughout Western Mass. Carvalho said she created Rays of Hope with a very specific vision. Beyond the critical funding, however, she has long recognized the importance of Rays of Hope as a bonding agent for individuals facing one of life’s most daunting challenges, and the people who love them. 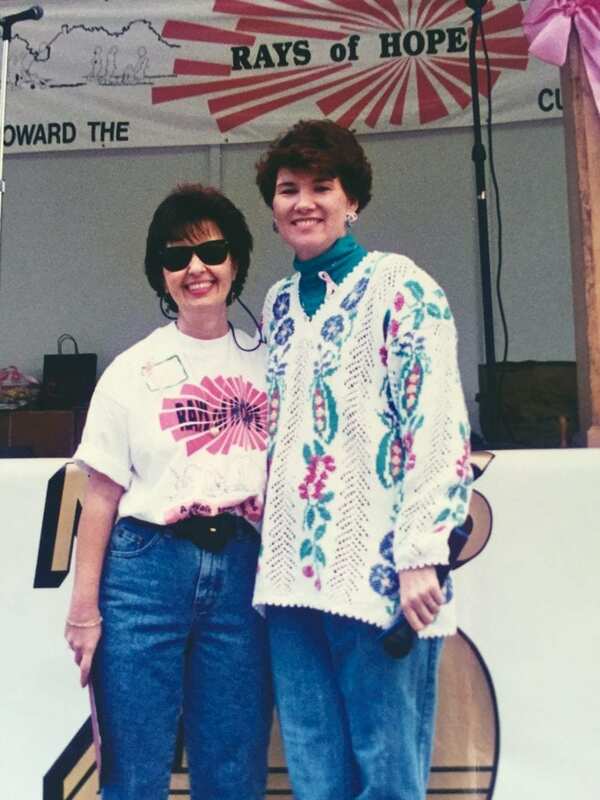 Lucy Carvalho (left) and Kathy Tobin at the first Rays of Hope walk in 1994. Dr. Grace Makari-Judson has witnessed the evolution of Rays of Hope from a clinical standpoint; she was appointed medical director of Baystate’s breast program at the same time Carvalho was organizing her first walk. “Lucy’s initial mission for Rays of Hope was not only helping breast-cancer research, but trying to provide coordinated care … a holistic approach,” Makari-Judson said — in other words, to make the journey easier for others than it was for her. “Thinking back, it’s amazing how much we’ve been able to do with addressing those goals,” Makari-Judson went on. “Twenty-five years ago, women were having mammograms in the hospital, sharing the same waiting room with people who needed X-rays or had pneumonia. Biopsies were done in the operating room, and women got unnecessary scars. Other examples are sentinel node biopsy, introduced at Baystate in 1996, and radiactive seed localization, started in 2010. Both are minimally invasive procedures that Baystate pioneered in the region that have since become national standards of care, Makari-Judson said — and both benefited from Rays of Hope funding. Meanwhile, Carvalho’s vision of more coordinated care has become reality as well, the doctor said. It’s a model, she said, that started to coalesce around the time Rays of Hope was being launched, and it eventually spread to all Baystate hospitals and eventually became the model of care regionally and nationally. Then there’s the Rays of Hope Center for Breast Cancer Research, launched in 2011 with the help of a $1.5 million Rays of Hope grant. The center brings together a group of scientists with diverse areas of expertise who work toward reducing the impact of breast cancer — for instance, understanding how obesity, diabetes, and environmental exposures interact to alter breast-cancer risk and prognosis. It’s important work, and not something to be taken for granted, Tobin said, adding that many events like Rays of Hope eventually peter out — Avon’s national fundraiser for breast cancer isn’t continuing this year, for example — and such events require a lot of work and diligence to thrive and grow. And it’s not just Baystate programs that benefit, Tobin added. Other local organizations, like Cancer House of Hope, also rely on support from Rays of Hope. Denise Jordan was first introduced to Rays of Hope by her late friend, Tracy Whitley, and she joined its advisory board in 2008. A decade later, she’s chairing the 25th interation of the event, dedicating her service to Whitley, who succumbed to the disease last year. Jordan calls herself an ambassador for Rays of Hope, making public and media appearances and encouraging people to take part in the Oct. 21 walk. She hasn’t found it to be a hard sell. Rays of Hope has proven to be a meaningful event for both survivors and supporters, as well as an educational experience for all ages. So was Jordan, when she was asked to chair the event this year, even though she had some reservations about the time commitment. But when she thought about her Whitley, and the way she not only battled cancer but became a strong advocate for survivors, it wasn’t a hard decision. The fact that he assumed it was a girl’s disease isn’t odd; many adults think the same thing, and Rays of Hope has created plenty of teaching moments around that misconception as well. In short, it’s hard to overestimate the impact this 25-year tradition has had on breast-cancer treatment, research, awareness, education — not to mention the giant hug of support that so many women (and men) need. Access to Clinical Trials Expanding in Western Mass.